Following the disaster of 9/11, CEF® President Reese Kauffman was burdened to develop a tool to minister to children in the wake of tragedy and to present the Gospel of Jesus Christ. In early 2002, CEF International Headquarters staff Brenda Hanson and Lynda Pongracz traveled to New York City to gain a sense of what people who witnessed the events of 9/11 thought and felt in the midst of that disaster—especially the children. They talked to children, parents, teachers, pastors and first responders. The result of this research was the 16-page Do You Wonder Why? booklet. It speaks to the hard questions children ask in the midst of tragedy—whether national disasters or personal crises in the home. The strategy for distributing this booklet was called Operation Wonder Why. This involved a plan for thousands of copies to be printed and distributed to key locations throughout the country for rapid deployment. When disaster strikes, local workers would be mobilized in partnership with other agencies to get the booklet into the hands of children and adults in the stricken area. The first test of Operation Wonder Why came in February 2003 in response to the Columbia space shuttle tragedy. Thousands of booklets were distributed in Texas, along the debris path, and at Johnson Space Center. In 2005 the books were once again deployed in the wake of Hurricane Katrina’s devastation. CEF workers and volunteers labored around the clock, distributing over 400,000 booklets in Louisiana, Mississippi, Alabama and surrounding states that received evacuees. The booklets were also distributed in shelters, schools and through local churches. Distribution of the booklets opened doors for our workers to conduct Good News Clubs in many of the shelters and even provide teachers with training and literature. In the years since then, the booklets have been distributed throughout our country whenever the need has come through situations including weather-related disasters, terrorist activities and school shootings. 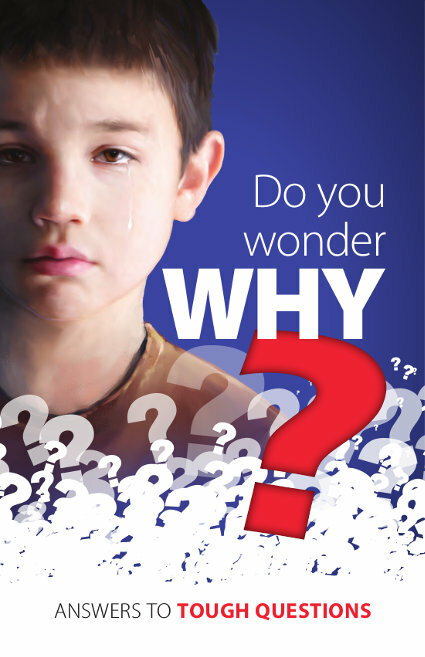 To date we have distributed over one million copies of Do You Wonder Why? CEF Press® keeps 50,000 booklets in stock—ready to distribute when needed. These booklets can be purchased through CEF Press and are available in English and Spanish. That day CEF staff delivered 30,000 Do You Wonder Why? booklets to Bennie. When he delivered booklets to another church that had become a shelter, they said they also needed hygiene items and baby supplies. That day when Bennie got home, he saw a moving trailer in his driveway filled with hygiene and baby supplies. God knew the needs and provided!